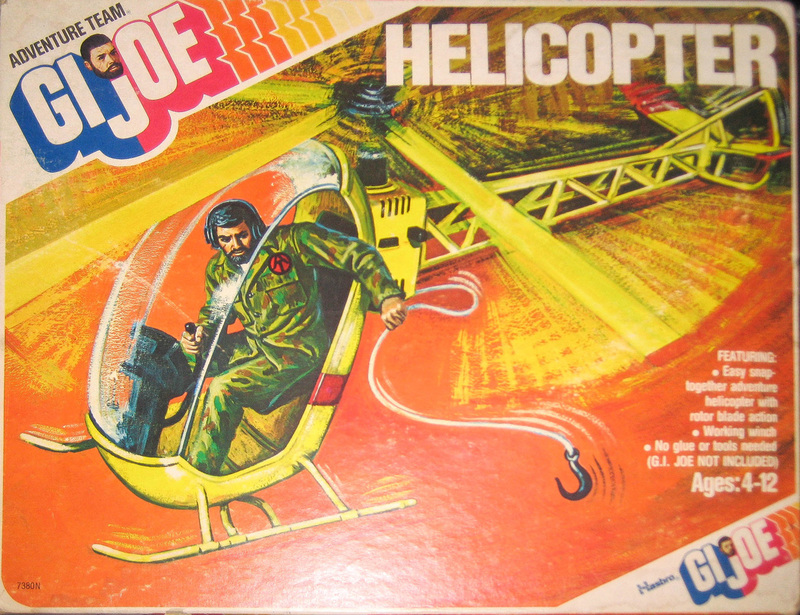 First introduced as part of Search for the Stolen Idol, the Adventure Team Helicopter (7380) was released on its own in 1973 with the box style changing to a new design in 1975. 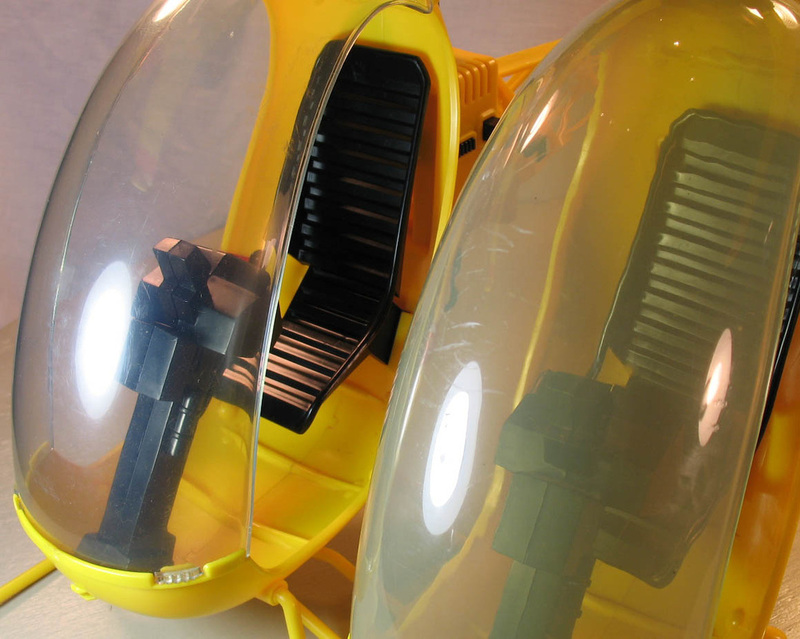 The great design and brilliant Adventure Team yellow color just begs kids to play with it. The sticker for the vehicle come both in bright red and a distinctly pinkish color. Above, the original 1973 box, below the 1975 version. the original art was painted over in the new orange background scheme, leaving the original version lost to time and modernization. 1975 box image courtesy of Joezeta. 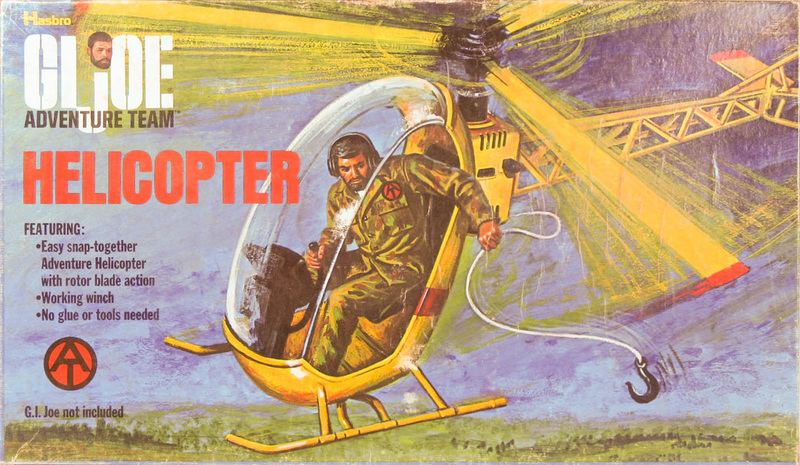 See his great selection of GI Joe items for sale here. There is a second box type for the late helicopter which is more square an significantly smaller than the first two. This image comes courtesy of collector Steve Stovall. See his eBay auctions here! Note how the end of the blades and the tip of the stabilizer are cut off in the art. 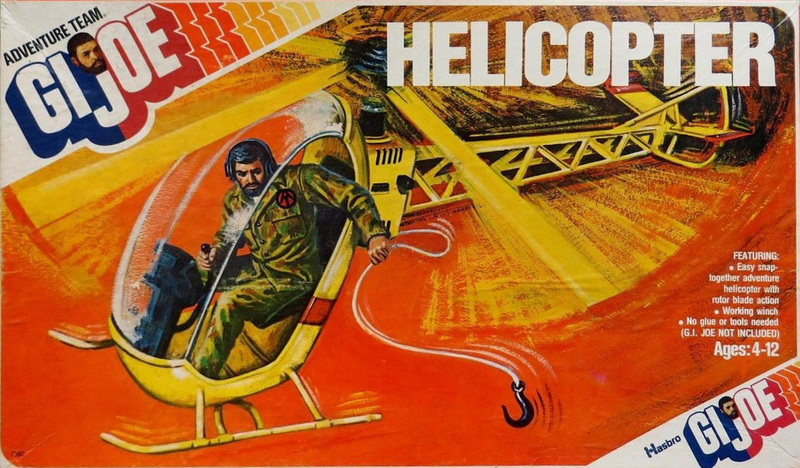 The earlier version of the helicopter has rubber tips over solid ends of the blades, while the later version has solid plastic tips and a hollowed out blade end (above). The windscreen of earlier examples tends to be a clearer plastic, while in later versions the plastic is less so, sometimes with a distinctly yellowish tinge. This difference is sometimes mimicked by wear and dirt, but can be seen clearly in the two shown to the left.